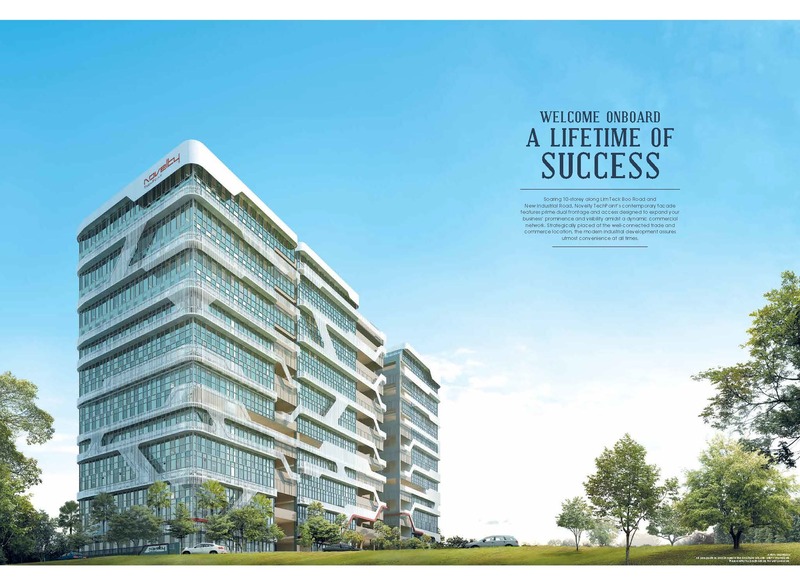 Novelty TechPoint is a new freehold 10-storey multi-user industrial development strategically placed within a well-connected trade and commerce vicinity offering the utmost convenience at all times. Novelty TechPoint’s contemporary facade features prime dual frontage and access designed to expand your business’ prominence and visibility amidst a dynamic commercial network. Categorized under B1 Light Industry, the development is specifically-configured for Business-1 usage in every aspect and comprises 61 production units and an ancillary canteen. Novelty TechPoint is conveniently located along Lim Teck Boo Road and New Industrial Road (former Henley Industrial Building) with easy access to an excellent network of main roads and expressways that includes Bartley Road, Upper Paya Lebar Road, Pan-Island Expressway (PIE) and Kallang-Paya Lebar Expressway (KLE). Within close proximity to Tai Seng MRT station, Bartley MRT Station, Serangoon MRT Interchange and public transport along the main roads, getting to any destination islandwide is a breeze. As for amenities and eateries, you need not venture far as Nex, Upper Serangoon Shopping Centre, Heartland Mall and Tai Keng Shopping Centre are just minutes drive away. Indulge your appetites at nearby Yong Hong Kopitiam, Rochdale Coffeeshop, Chomp Chomp Food Centre and Serangoon Gardens eateries. Novelty TechPoint offers the most conducive environment for each business component without disrupting office, production or storage needs. The floor-to-floor height of approximately 6.15m to 7.35m adds to the versatility of the units allowing optimum for effortless expansion of your business. For added convenience, each unit incorporates 2 or 3 attached washrooms with quality sanitary wares from Duravit and Gessi. All units are also fitted with the highly-regarded JUNG European Installation Bus (EIB) intelligent automation systems. Novelty TechPoint blends the best of aesthetic values with the convenience of building amenities that meet your daily needs. From lush landscape to the shimmering pool and panoramic skyline at the Sky Terrace, your every need – both professional and personal will be fulfilled. The spacious workspace well-equipped with state-of-the-art industrial facilities coupled with convenient transport options makes Novelty TechPoint an unrivalled location for you to build your business to staggering new heights. Developer Novelty Dept. Store Pte. Ltd.
For more information on Novelty Techpoint, simply fill up your details below and our salesperson will get in touch with you shortly!